Not an easy course, but simple enough if you treat it with respect e.g. just try to hit as many fairways as possible and accept as a mid-handicap player that you may hit 50% of the greens 1 over regulation. 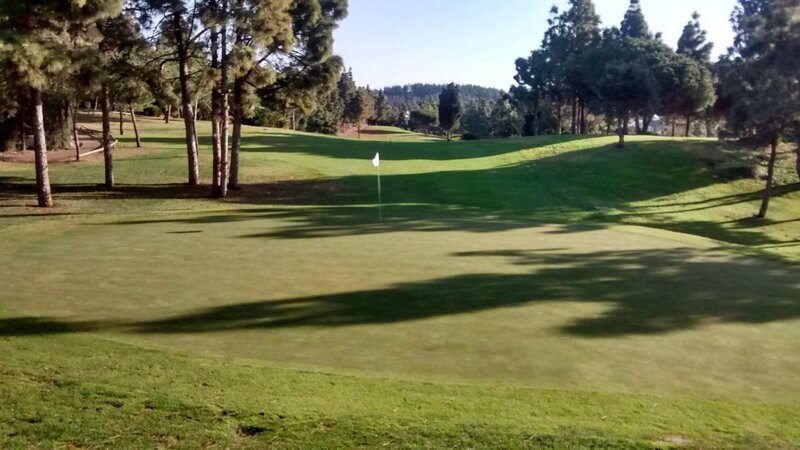 Ideally El Chaparral needs to be played a few times for you to see the best way to play each hole. Blind greens, some holes that curve sharply and a lot of sloping fairways make shot position important. But not many bunkers or water hazards which could make it a really difficult course. The club recently installed very high quality hole maps (large, accurate, printed on strong plastic sheets) on every tee box. These are extremely useful on a course of this difficulty, although they do not have distance indications from the tees. Or else spend about Euro 5 on a course guide booklet if you plan a really serious round of golf. El Chaparral has 6 par 3 holes, 6 par 4 holes and 6 par 5 holes. Unusual – most courses have more par 4 holes than that. Not a bad thing, just different and interesting. A lot of variety between holes, with most holes lined by pine trees. If you hit a shot offline, you can still get some kind of recovery shot a reasonable percentage of the time. Most fairways fairly wide. Everything about El Chaparral (fairways, greens, green surrounds, bunkers, tee boxes) is fine when I have played it during the summer months. However in Winter this course gets some grass die-back, fairways have sandy or muddy patches and greens have small bald patches. 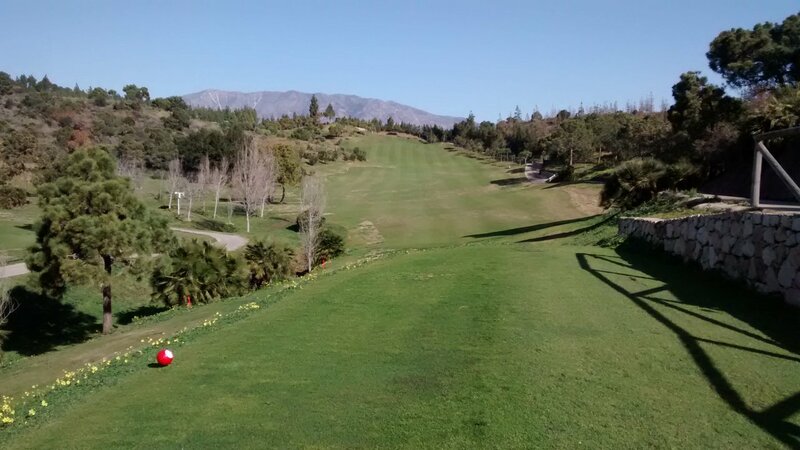 Some courses down on the Costa del Sol seem to struggle more in Winter than other courses. Perhaps the factors are the ground on which the course is built or the particular grasses the club uses or even the steep sides to some holes which means they are in shade a lot of the time. El Chaparral is still perfectly playable (particularly if you are playing Winter rules i.e. clean-and-place), just not very nice to look at when in this condition. The clubhouse is pleasant. I have never had any bad experience here at all. Everything has been sociable. So for a high-handicap player who only intends to play the course once or twice, you might want to find another course. El Chaparral is too quirky for a novice player. For everyone else, a nice experience. For a low-handicapper who knows the course, not difficult and not particularly long i.e. should be able to put a good round together. For a high-handicap player, best advice is stay out of trouble and concentrate on position not length. If my game is off, this course will punish me quite hard on the holes I play badly, but be fair where I play steady golf and in particular get my approach shots to the green right. Not top-notch, but then this is middle-ranking golf club not a premium golf club. A course I go back to happily – preferably in Summer – now that I know the best playing line on each hole (not that I always hit that, of course). A pleasant club and course, and good value for money. Not a top-ranked course for my ability/price level, but I can find no fault with this course at all. Nice. A pleasant club and course, and good value for money. Review last updated: February 2015. Number of times played: 8. El Chaparral is represented by the yellow dot. 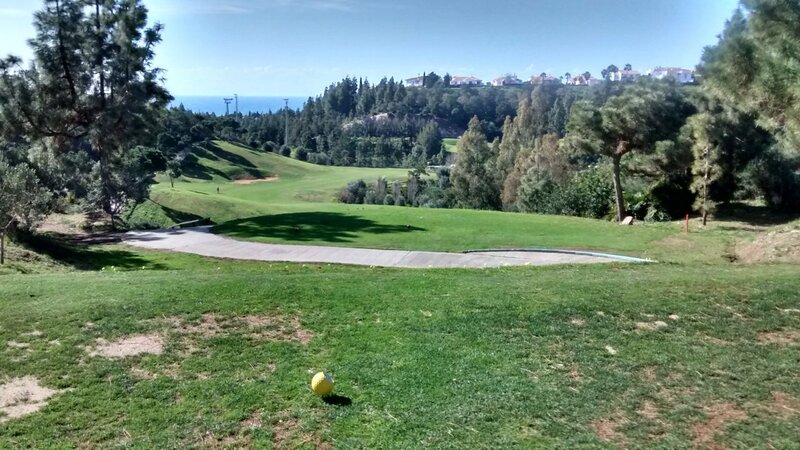 This shows that the course is quite a bit shorter than the average golf course on the Costa del Sol, and a little bit easier than average. An 18-handicap player can expect to go around this course in 19 over par.